We are manufacturing various high quality Polarized Lens for sunglasses in Japan. The polarized lens can cut the glare and a reflection light more effectively. The special film, the polarized film is the lens which is put into the lens and cuts a reflection. The difference from the ordinary sunglass lens is a characteristic with the big function to suppress a volume of the sunlight, to cut only a reflection and to secure the more comfortable sight. Because it cuts a reflection light from the snow surface on the snow-covered mountain, the clearer sight can be secured. In the marine sports, the polarized lens reduce a glare in the surface of the water and become easy to see in the water. The polarized film is one of the combined an iodine and a dyestuff, arranging for the direction of molecule, and the aggregate of small slit. 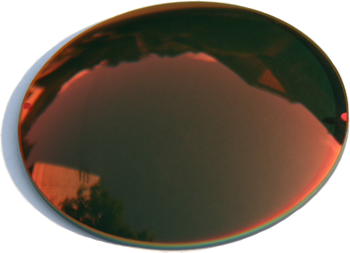 There is a many manufacturing method of the polarized lens but the polarized lens sandwich a polarized film inside with the lens. when the sunlight enters a polarized lens, the direction of sunlight’s vibration is to be fixed because only the vertical vibrating molecule ( The vibration ingredient at the electric field ) passes the small slit. So, the sunlight which was reflected in the surface of the water or road is a side wave and can get clear sight by suppressing a reflection to cut this sunlight by the slit. We are making Finished Polarized lens by CR-39, Glass, Polycarbonate bending sheet, Polycarbonate Injection and Tri-Acetate. We are making Semi-Finished Single Vision Polarized lens by 1.60 Spherical, 1.67 Spherical, and 1.67 Aspherical. We were founded in January 8th, 1972 as Priobe Trading Company. And it was established as Japan Eyewaear Corp in January 1st, 1982. We are making Ground rake, Batter Box Scale, Court brush, Tee Batting Fence and other for Baseball.